Mad Wave's 3D LOGO Silicone Cap is ideal for regular training in the pool! Made with durable materials, the cap will ensure superior comfort and perfect fit swim after swim! 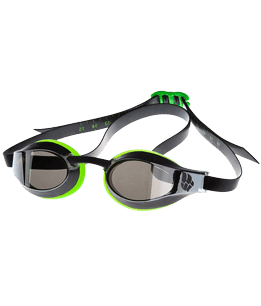 Its innovative hydrodynamic structure will reduce drag in the water to help you swim faster. Discover the range of Mad Wave's silicone swim caps! Made of high-quality chlorine-resistant silicone, these caps are the perfect choice for regular training in the pool. The ergonomic form will ensure a precise and secure fit. Soft goggle case with zipper. Designed to store swimming goggles keeping them safe when not in use. +The cap is snug against the head, and does not create excessive pressure. Excellent sits and does not fly off during long swimming. If you initially wear well, then you will not have to correct during the whole visit to the pool. Of all the caps used, he stopped on this one. She let me swim and forget about what it's like to fix a hat that used to be very stressful. 2018 Mad Wave. All rights reserved. I would like to subscribe to Mad Wave newsletters to receive latest news and updates.